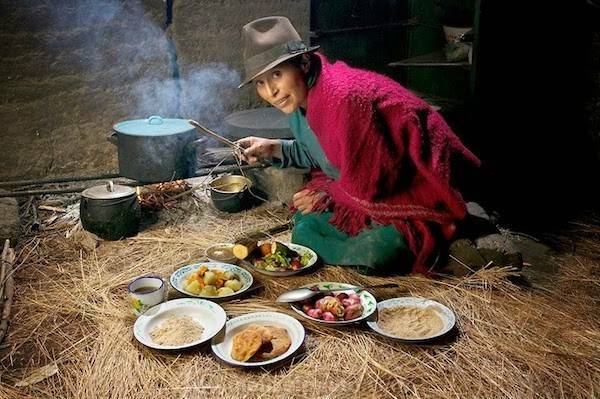 Photographer Peter Menzel and his wife, writer Faith D’Alusio traveled the world for three years to document the eating habits of 80 people in 30 countries. Their findings have been compiled into the couple’s book, What I Eat: Around the World in 80 Diet . 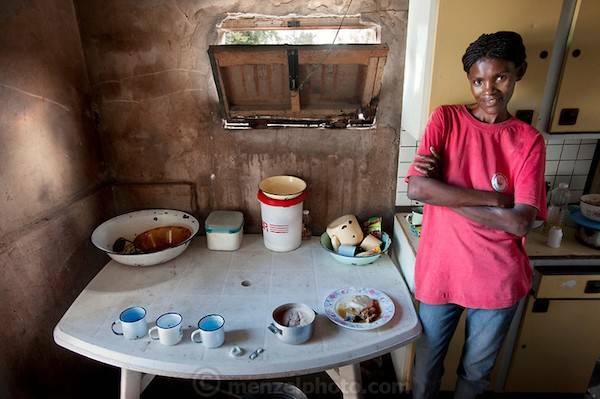 As we know, a picture is worth a thousand words and the photographs they took are very telling. They captured the amount and type(s) of food typically eaten in the course of one day. 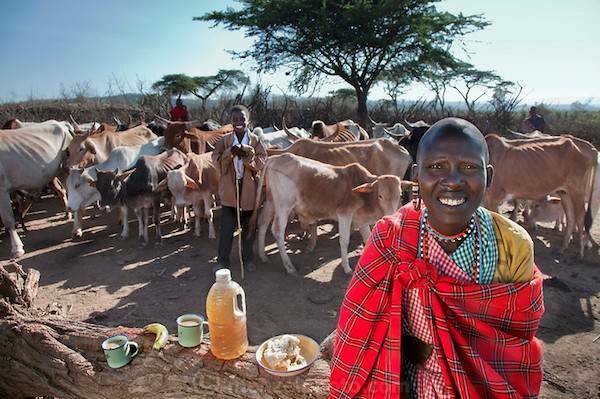 The profiles of each person photographed is organized by the total number of calories consumed per day. 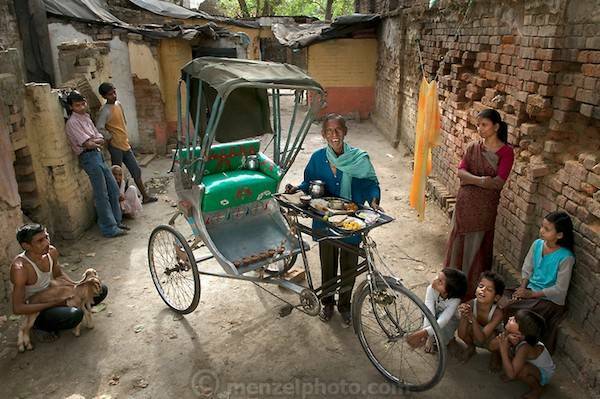 Munna Kailash, a rickshaw driver in India, consumes 2400 kcal/day. 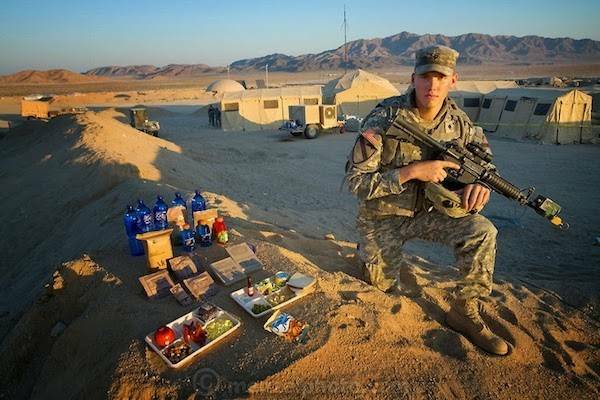 Soldier Curtis Newcomer, in Fort Irwin, California, consumes 4000 kcal/day. While the above pictures show only a glimpse of the 80 people shared in the book, it’s humbling and a great start to understanding how blessed we are to have food on the table without worrying about what will be eaten in the next meal. What are you waiting for? 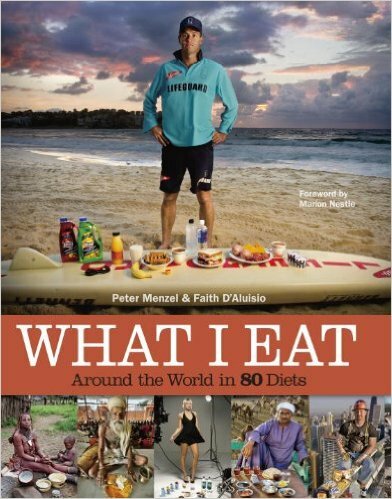 Grab your copy of the What I Eat: Around the World in 80 Diet now! Previous Stone Fruits Are Optimal with Soft Exterior, Hard Interiors!